Danish architect Bjark Ingels's must-visit structure is reminiscent of an unzipped wall. 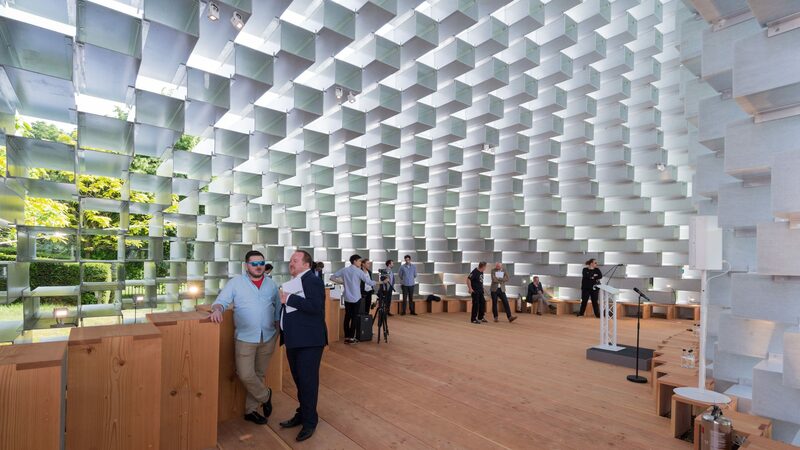 Danish architect Bjarke Ingels has been chosen as this year’s designer of the 16th annual summer pavilion at London’s Serpentine Galleries. Take a peek at the photos below. There are countless things to do, places to eat, and attractions to see when visiting the English capital. 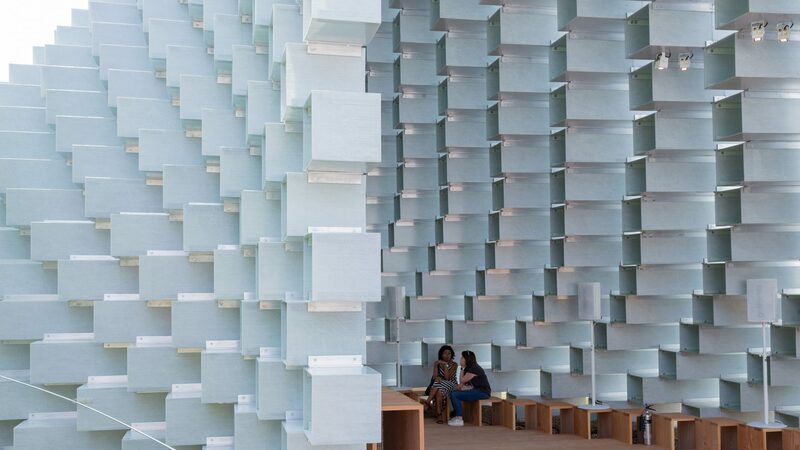 But this year, the annual Serpentine Summer Pavilion is London’s must-see attraction of the summer, thanks to internationally acclaimed architect Bjarke Ingels' involvement on the project. For those of you who don’t know, the Serpentine is made up of two contemporary exhibition spaces: the Serpentine Gallery, and the Serpentine Sackler Gallery. 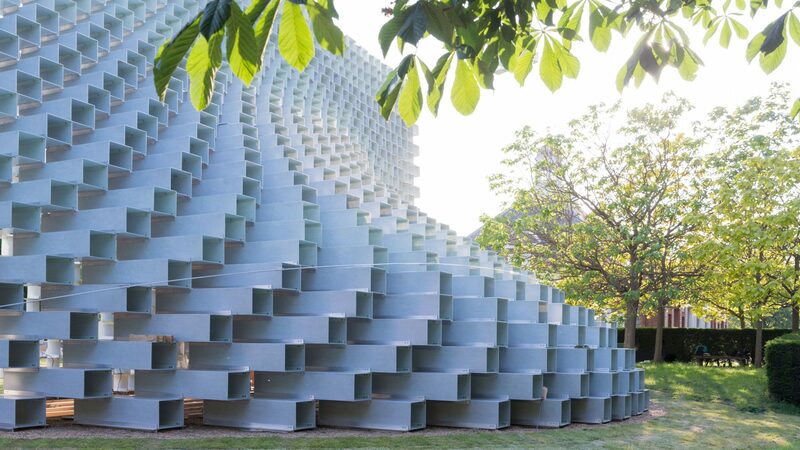 The Serpentine is well known for its free admission policy, as well as its annual summer pavilion project, where architects and designers are brought in to commission a one-of-a-kind, temporary pavilions for the public to enjoy. At the time of the Gallery’s invitation, the chosen architect can't have completed a permanent structure in the United Kingdom before. After an allotment of six months to complete the project, the pavilion then remains on the Gallery’s lawn for three months. “For the Serpentine Pavilion 2016, we have attempted to design a structure that embodies multiple aspects that are often perceived as opposites: a structure that is free-form yet rigorous, modular yet sculptural, both transparent and opaque, both solid box and blob. We decided to work with one of the most basic elements of architecture: the brick wall. Rather than clay bricks or stone blocks, the wall is erected from pultruded fiberglass frames stacked on top of each other. The wall is then pulled apart to form a cavity within it, to house the events of the Pavilion’s program,” says Ingels. Now, we know that’s a mouthful so instead, we’ve compiled some gorgeous images of the dynamic pavilion for your viewing pleasure.